Hi, I remember playing a ps2 rpg a very long time ago at a store. I believe it was on a demo or promo disc. Maybe it wasn't on one, I honestly can't remember since it's been so many years. So what I remember of it, is it was a 2D JRPG and the part that I remember playing on was a grassy area with FF4 or Chrono Trigger style looking hills, I remember somewhere along that area was a (wooden?) treasure chest with I believe a weapon in it? Sorry if I can't give any more details about it but I barely remember much more than that about the game. Any ideas on what game it was? There's an ongoing discussion about it below, feel free to chime in here or on reddit if you have any ideas. If Secret of Mana looks to dated compared to what you remember, maybe it was Legend of Mana? Or Saga Frontier 2? Tales of Destiny/Eternia? I think those were on a demo disc or two... They're PSone games, so you might have played them on PS2. That could shave off a good amount of titles. I'm going to condense some points I made into one reply. * I think it was more of a ARPG if I remember, almost like secret of mana I think. Also I might be wrong but it looked like you could view the items you gathered in a gallery? Again not too sure, only had probably 5 minutes played of it. 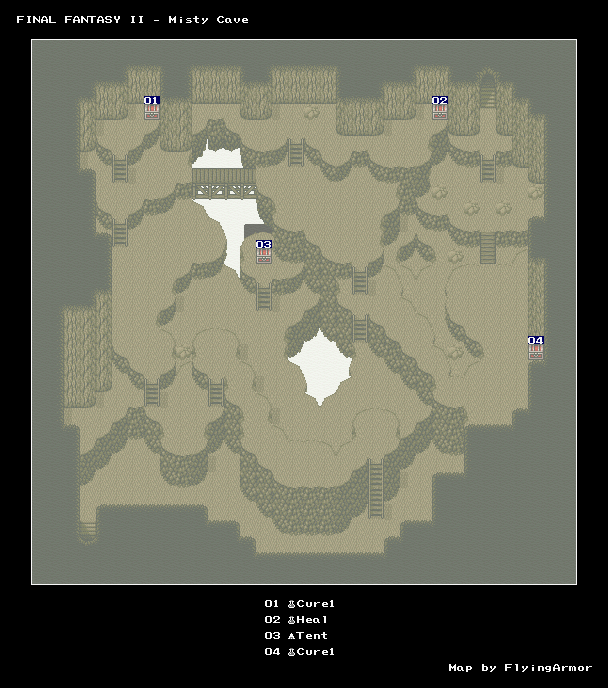 I do remember that the map (that I was on) strongly gave off similarities to ff4 maps. * If I remember, the overworld style was 2d like ff4 and I believe the character had a axe and you attacked stuff by swinging? Ar Tonelico I don't think this one is it but I might check it out. Definitely wasn't Soul Nomad or FF Tactics style. Imagine finding a chest on a overworld map that resembles grassy, woodland style overworld map on final fantasy 4. * May not have been PS2 but it was definitely eagleeye style 2D overworld. I'd like to say around the time they had mario party demos & dreamcast displays, or close to that time frame. I'd like to say this reminds me of it, it kindof resembled this, except in a grassy setting with chests. Minus the bridges, ladders & cave exits..
* It wasn't like ff tactics or ogre battle, at all. * I definitely think it was on one of the many demo disks.. and you're immediately in the grassy area, no towns or anything if I recall. any of the myriad of shining forces for ps2? that series went the nondescript ARPG route HARD during the PS2 days. Definitely wasn't Shining Force EXA but I do believe it was a arpg like SFEXA was. No it wasn't that one. This was what I was thinking at first as well, but I think it predates the OP's given time frame... That is one irritating game. Turns out, it was Threads of Fate on the PS1. ^ I own that game and never would have guessed it in 1000 years. If you ever play it get ready to witness about a half dozen gross misuses of the word "atelier".